The plans for a Red/Blue Line connection for Boston's T subway system haven't died out yet. While the original proposal had been abandoned a few years ago and returned during the Amazon HQ2 search, there may still be hope for its fulfillment. The Red and Blue Line train rails remain the only two lines of the MBTA Subway system unconnected. 0.4 miles lie between Bowdoin, the Blue Line's current terminus, and the Charles/MGH Red Line Station. The main factors to consider are the cost, timing and scope of the project. While it will certainly be a costly undertaking, a recent study conducted by the MBTA found that construction of a tunnel linking the two train systems would cost hundreds of millions of dollars less than they had anticipated. The investment could help hundreds of businesses along both lines hoping for faster and easier commutes for their employees. The idea for a Red/Blue Line connector has been kicked around since 1990, when the city agreed to build a tunnel between the Bowdoin and Charles/MGH stops as part of a Big Dig-related settlement with the Conservation Law Foundation. By 2006, the plan was downgraded to a connector that was then scrapped. It wasn't until the city pitched Suffolk Downs (on the Blue Line) to Amazon for their future headquarters that the project looked to finally become realized. 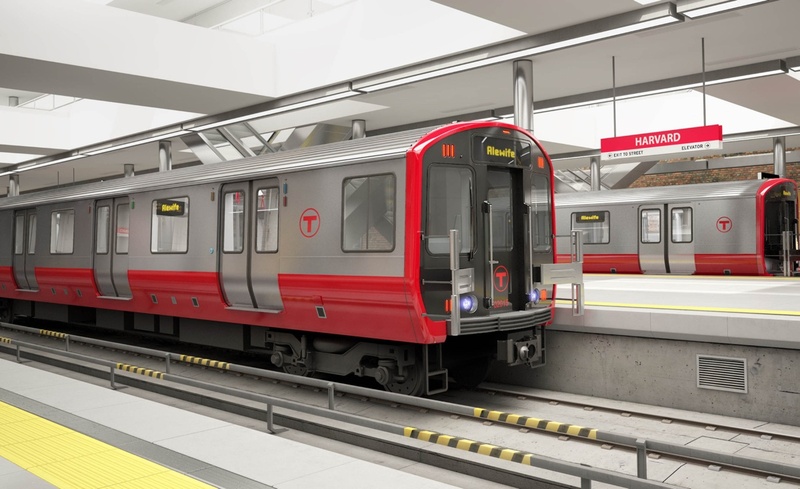 The Red/Blue link, Boston officials expected, would give the company better access to Harvard, MIT and further Cambridge tech talent along the Red Line. The initial 2010 estimate had put the cost of tunneling at $413 million in 2018 dollars. A more recent study found that the tunnel could cost as little as $200 million to construct. The next step in the MBTA's decision process is to decide with the MBTA Fiscal Management and Control Board whether the connector should be one of the next priorities to tackle by 2020. This discussion is likely to occur by early 2019. Greater Boston Chamber of Commerce President and CEO Jim Rooney claims that the connector should be high on the state's list of transit priorities. "The Blue-Red Line connector has become more urgent than it was perhaps 20 and 25 years ago. The reason for that is the development of Kendall Square," he said. "The pockets of economic activity have grown and shifted." The project could be beneficial to businesses located on the Red Line, as people who live in Revere may not want to work in Cambridge or South of Boston because of the current commute. "These are investments that are needed anyway, and should be part of the agenda whether or not there's an Amazon or Olympics or whatever the next big thing will be that will stimulate investment," Rooney remarked. Stay tuned for further updates from the MBTA's decision with the Fiscal Management and Control Board - coming early 2019.